Matthew Starke was raised in Hemlock, MI and is a current resident of Saginaw Township. He is a graduate of Northwood University with a Bachelor’s in Business Degree. He attained his Series 7 General Securities and his Series 66 Michigan “Blue Skies”, and Michigan Variable Life, Health, and Annuity License Designations in 2001. Matthew is owner and Investment Advisor Representative for Great Lakes Retirement Solutions Inc., a Michigan Registered Investment Advisor. Mr. Starke takes a coaching approach to investing, providing individuals and business owners a framework for successful investing. He doesn’t “sell a product” and let you handle the ramifications. Every recommendation takes to heart the client’s best interest when it comes to portfolio design, risk reduction, and how the investments integrate with respect to taxes, getting income when needed, and estate planning. With an eye for detail, Matthew has the experience in dealing with complex financial planning issues and asset management for the accumulation, income and preservation of investment assets. His focus is to play a key role in finding solutions to client retirement problems, then help clients take advantage of opportunities to secure and grow their wealth. Matthew is a co-founder and Past President of the Midland chapter of Business Networks International, is a Member of the Midland Chamber of Commerce, and serves as President of the BFNHA board of directors. In 2015, he was appointed to the Board of Directors for Catholic Federal Credit Union in Saginaw. He is a graduate of the Saginaw 1000 Leaders program. Matthew has won the Reader’s Choice Silver Medal in 2008, 2010, 2011, 2013 and Gold Medals in 2009, 2012, 2015 and 2016 for Best Investment Counselor/Firm from Midland Daily News. 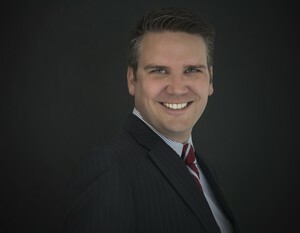 Matthew has qualified for Million Dollar Roundtable in the insurance industry numerous times. Matthew spends a great deal of time conducting investor coaching workshops for individuals and businesses throughout the community. Matthew was a candidate for Saginaw Township Trustee in the 2012 campaign and dedicates time to his local church and enjoys spending time with his wife Kristin and their three children, Jacob, Kate and Jack. His interests include golf, hunting, real estate investing along with some college and professional sports.